I was approached by Robert Rose Inc. a publisher of cookbooks and given a choice selection of cookbooks to review. One of the choices, and I’ll admit the least appealing of my selections, was one titled, “250 Best Meals in a Mug“. My initial thoughts were negative because I felt an individual meal for one, in a mug, is not very helpful when there are two people living together in happy harmony. I also thought the meals would be unappetizing, made with processed pre-made foods, and not very pretty to look at. However, in the spirit of my Twitter account tag line @walshcooks, “Everything. At least once”, I thought I better give it a try. So I did. Am I ever glad I did. 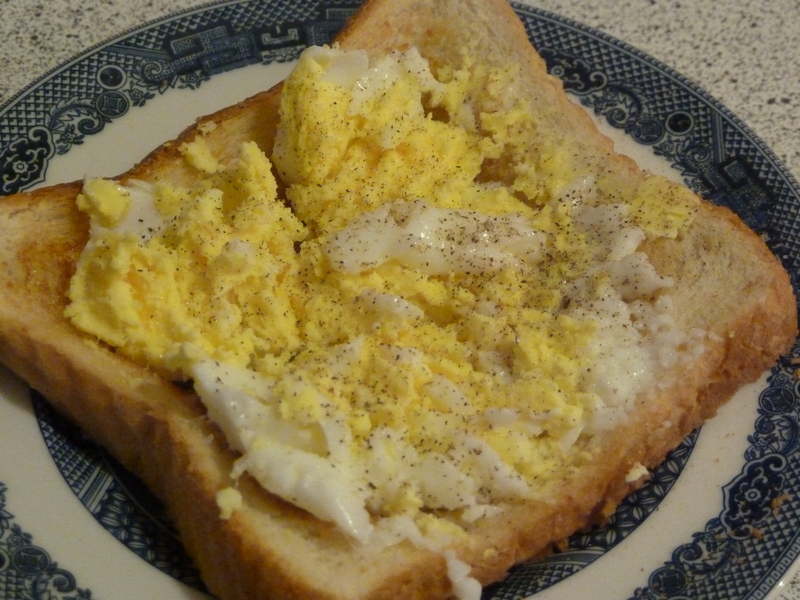 The thing of it is though, even if you aren’t a fan of a hard-cooked egg, but ARE a fan of egg salad sandwiches and want to make an egg sandwich for your own lunch, you could purposely hard-cook your poached egg, and in more than minute and less than two minutes, you could have the perfect cooked egg for the sandwich, without the bother of listening to Julia Child by boiling up a bunch of eggs, take them off the heat, cover, and let them sit for 17 minutes, and then peel and peel and peel the eggs. 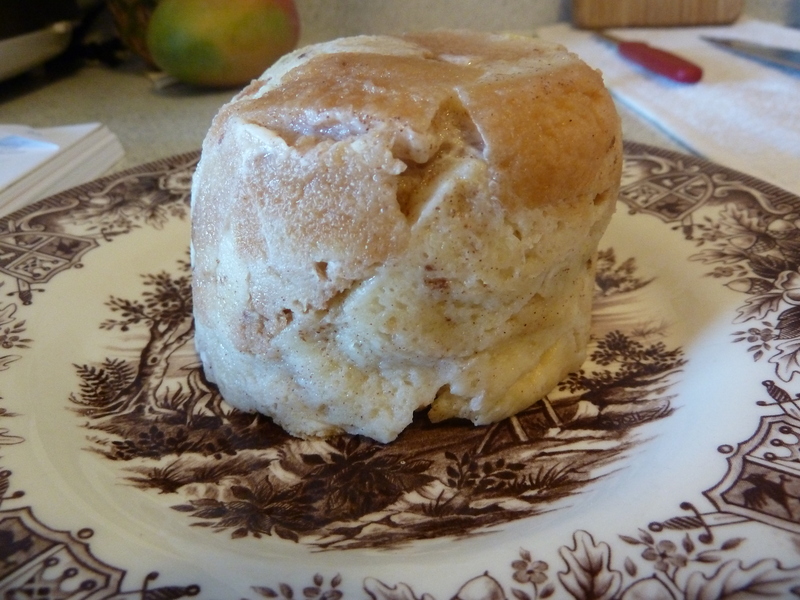 You couldn’t use this meal in a mug method for a church lunch of egg salad sandwiches. Nope. But for YOUR lunch, at work that day, you could. And this is where I get really excited. The recipes in this cookbook are perfect for taking to lunch at work, especially when you have to worry only about your own lunch because you have an independent spouse who can forage the wilds for his own lunch. If he actually decides to eat lunch that is. My hubby is able to survive on a single banana and cups of tea until supper time. AND he remains civil, fun-loving and humourous. I’m grouchy five seconds after breakfast and counting the seconds to my morning snack. I digress. Courtesy of 250 Best Meals in a Mug by Camilla V. Saulsbury © 2014 http://www.robertrose.ca Reprinted with publisher permission. 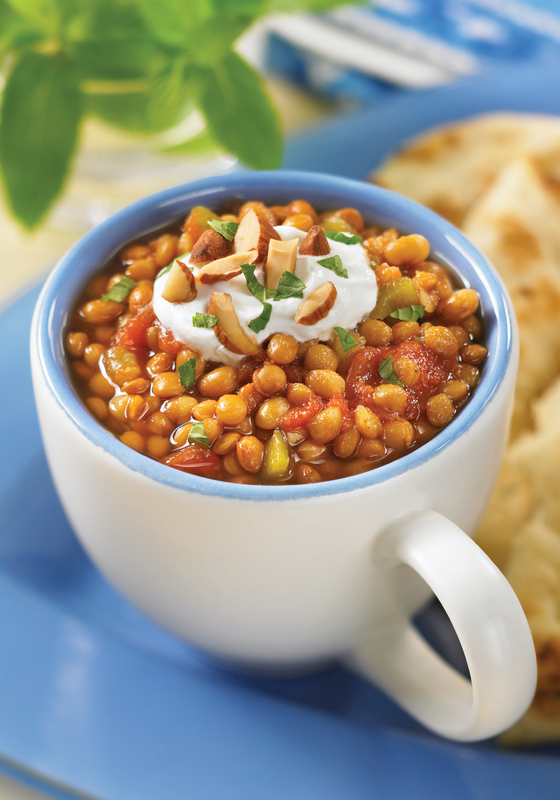 Zesty tomatoes and chiles, warm spices and earthy lentils are the stars of this lively vegetarian mug. A trio of toppings − yogurt, almonds and fresh mint − heightens the wow factor. 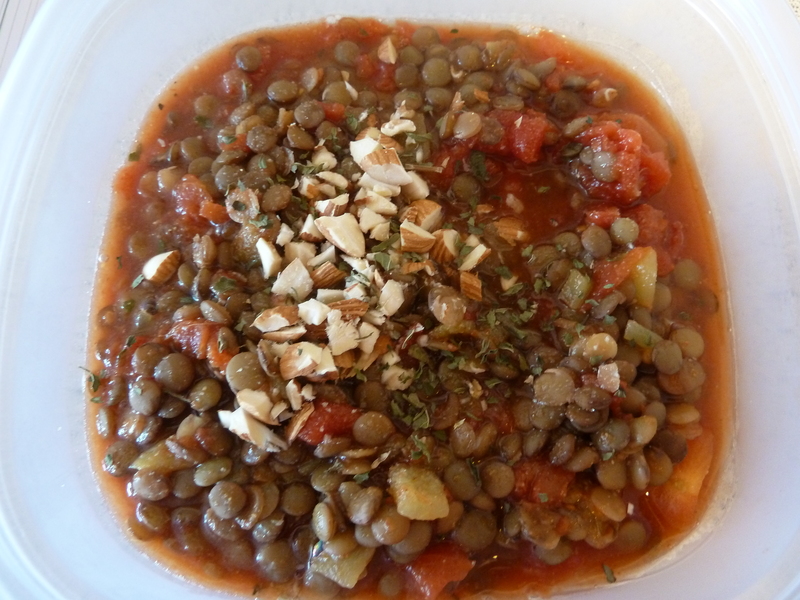 In the mug, combine lentils, tomatoes, cumin, ginger and hot pepper sauce. Microwave on High for 11⁄2 to 21⁄2 minutes or until hot. Top with yogurt and sprinkle with almonds and mint. Serve with a suggested accompaniment, if desired. If available, you can use vacuum-packed lentils in place of canned ones. They are typically found in the produce section, near the tofu products. Canned black beans or pinto beans can be used in place of the lentils. An equal amount of chopped fresh parsley or cilantro, or minced fresh chives, can be used in place of the mint. Freeze the remaining tomatoes in a small sealable freezer bag for future use. Be sure to label the bag with the contents. Store for up to 3 months. 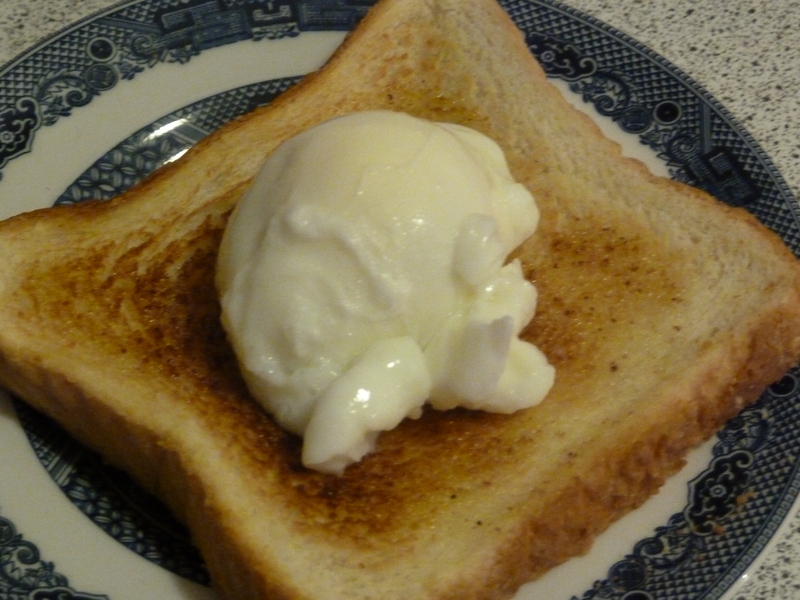 Defrost in the refrigerator or microwave before using. 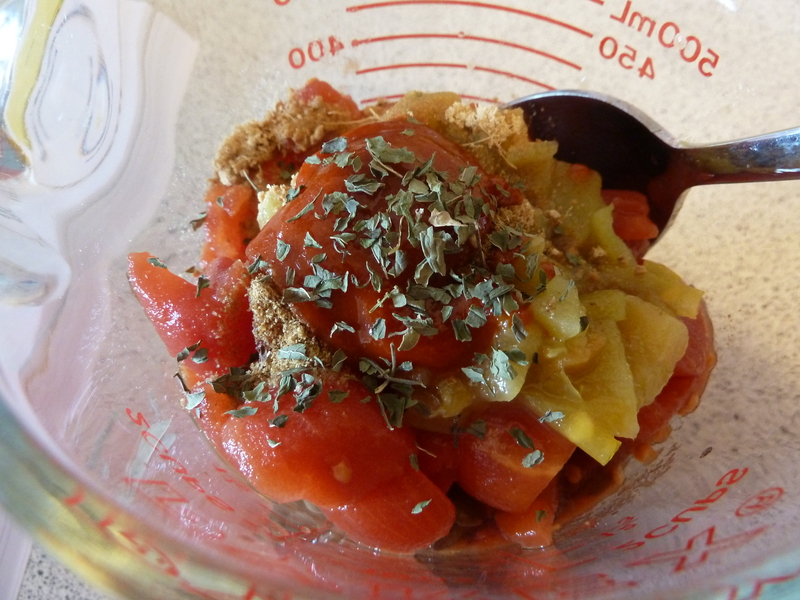 Combine the lentils, tomatoes, cumin, ginger and hot pepper sauce in the mug; cover and refrigerate. Measure the yogurt, almonds and mint into a small airtight container; cover and refrigerate until ready to use. 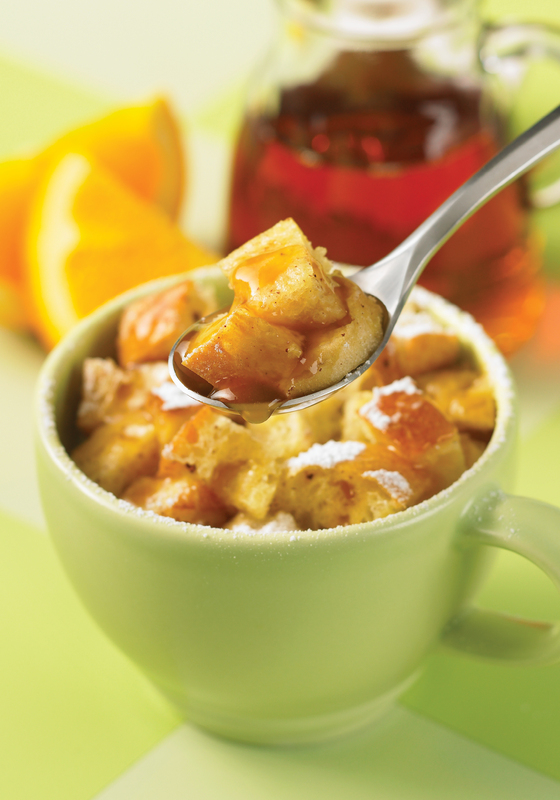 Courtesy of 250 Best Meals in a Mug by Camilla V. Saulsbury © 2014 www.robertrose.ca Reprinted with publisher permission. And this is where I got really excited. I mean REALLY EXCITED. I’m always looking for satisfying healthy options to eat at lunch. I’m not a fan of left overs. But here, after trying this recipe, I had my lunch. As you can see in the picture above, I dumped the lentils into a Glad-ware container, and took it to work for my lunch that day. It was perfect! Not as pretty as the professional photo, but it was delicious, satisfying and super-easy to make. This is going to be a long blog. I hope you stay with me. Because I am honestly super-excited about this whole prospect of meals in a 2-cup Pyrex measuring cup and taking it to work for your lunch!! 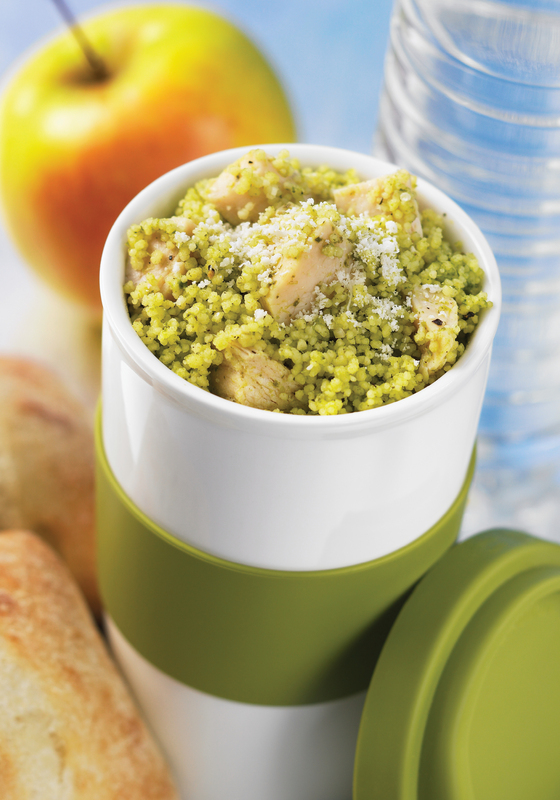 Keep a jar of basil pesto in the refrigerator − it will guarantee a multitude of tasty meals in minutes, 24/7. Need proof? Try this delicious couscous and chicken mug. 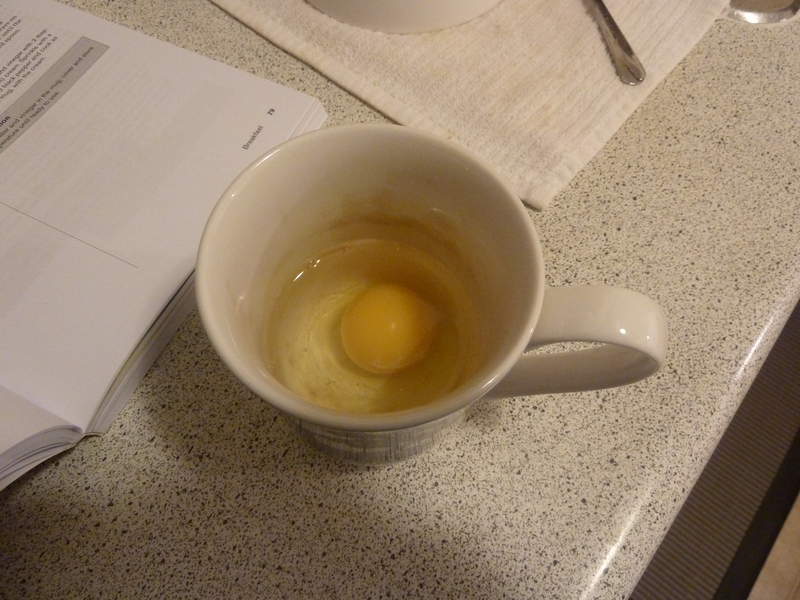 In the mug, microwave water on High for 11⁄2 to 21⁄2 minutes or until water is boiling. Stir in couscous. Cover with a plate and let stand for 5 minutes. Fluff couscous with a fork. Stir in chicken and pesto. Microwave on High for 1 to 11⁄2 minutes or until heated through. Season to taste with salt and pepper, and sprinkle with Parmesan. 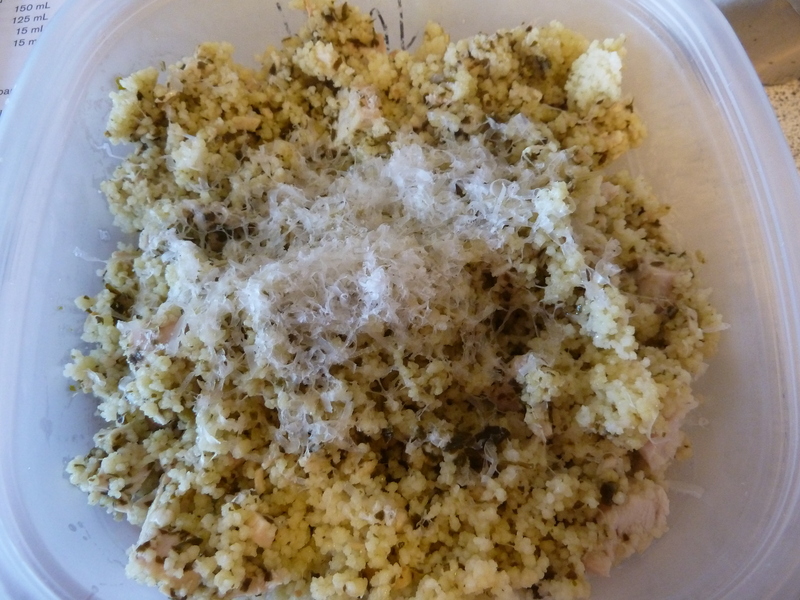 Pesto Chickpea Couscous: Replace the chicken with 1⁄2 cup (125 mL) drained rinsed canned chickpeas. Red Pepper and Pesto Chicken Couscous: Add 1⁄4 cup (60 mL) chopped drained roasted red bell peppers (from a jar) with the chicken. Either regular or whole wheat couscous can be used. Freeze the remaining chicken in a small sealable freezer bag. Be sure to label the bag with the contents. Store for up to 3 months. Defrost in the refrigerator or microwave before using. 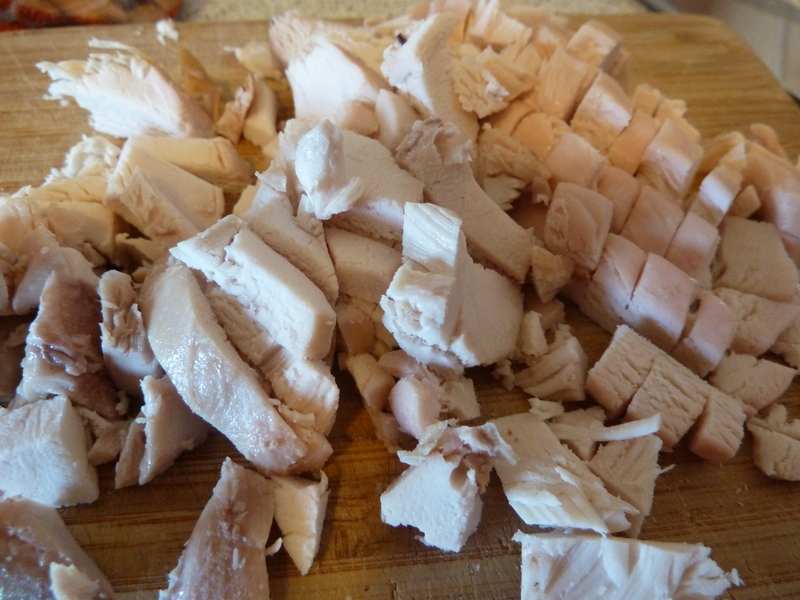 You can replace the canned chicken with 1⁄2 cup (125 mL) diced cooked or deli chicken or turkey. 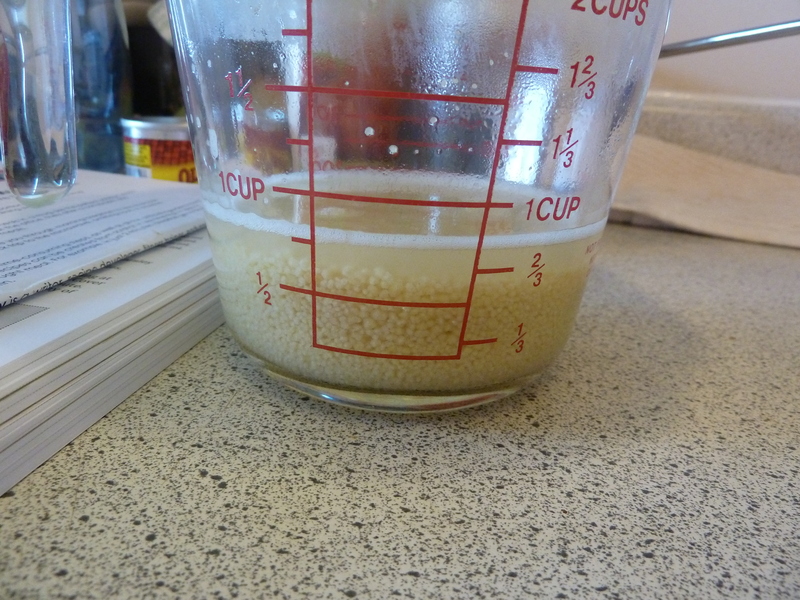 Measure the couscous into a small airtight container; store at room temperature. 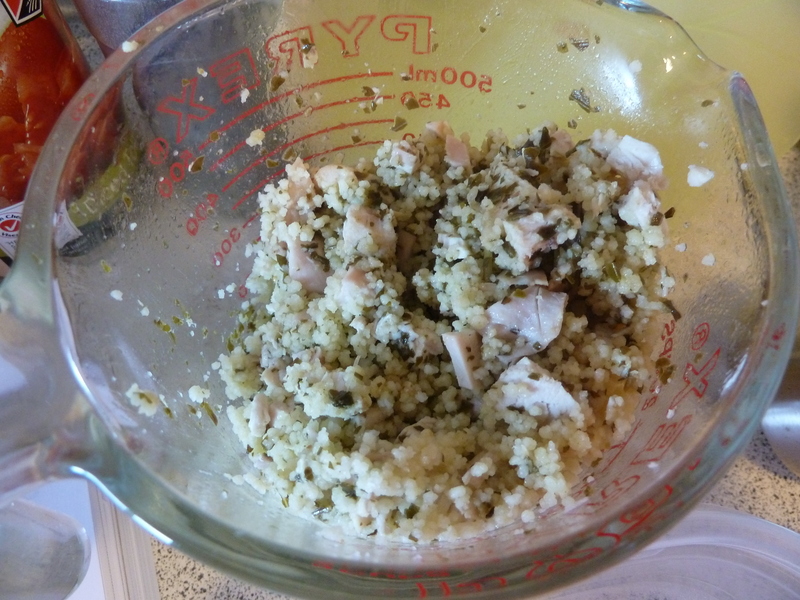 Measure the chicken and pesto into a small airtight container; cover and refrigerate until ready to use. Cathy back….. canned chicken creates too much of a negative visceral reaction, so I opted instead to buy one of those pre-cooked chickens you see/smell at the entrance to Safeway. To you, mass cooked Safeway chickens might cause an unpleasant visceral reaction, so IF you have the time and money, cook up your own free-range, hormone free, angel kissed chicken, and use the left overs for this recipe. The best Pesto I could find in Safeway. 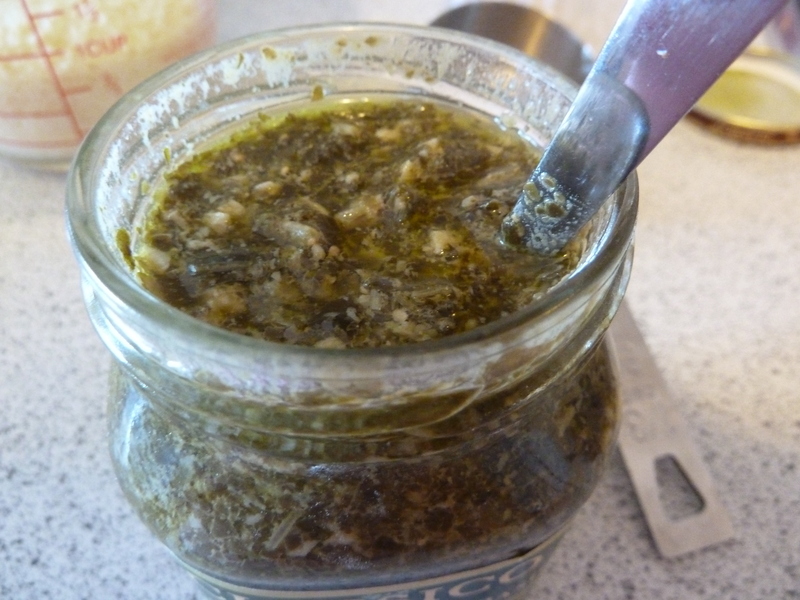 Of course, the BEST pesto ever is the pesto you make yourself, or buy from Strathcona’s Farmers Market. Quite pleased with my 2-cup Pyrex measuring cup. This is pre-warmed. This is post-warmed, with fresh Parmesan cheese in the handy Glad-ware tub to take to work for lunch. 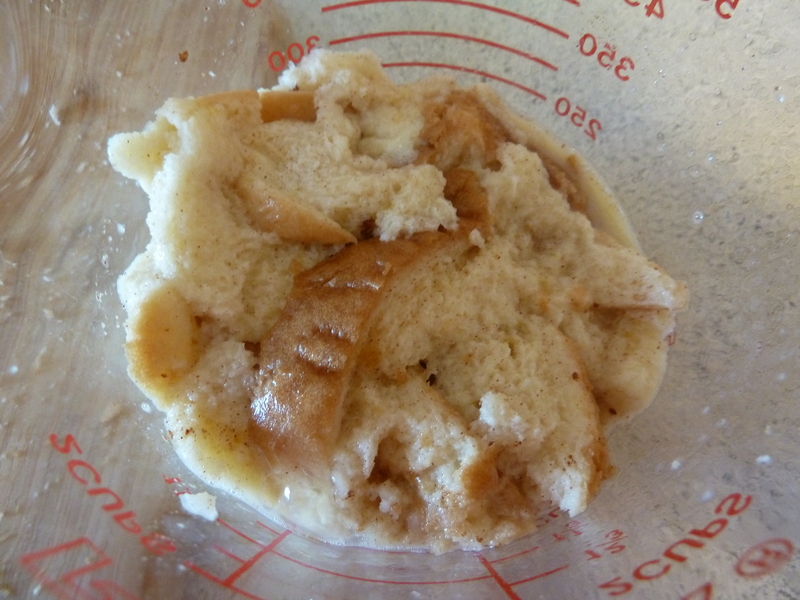 Post-cooked mush on presentation plate. 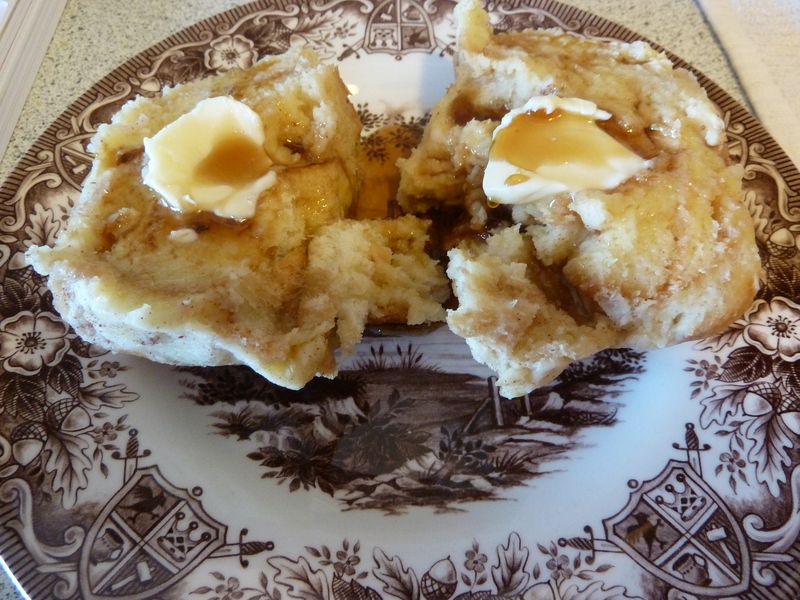 Split for sharing, buttered and maple-syruped to sooth the most ornery of dispositions. I tried something new by following the recipes in “250 Best Meals in a Mug”, and am deeply satisfied and thrilled to have learned how to make instant meals (for one). I hope you will give these recipes a try as well. Previous Post Have You Eaten a Ford Lately? You have persuaded me. I simply MUST obtain a copy of this book. Thanks!